Hi friends! Please forgive me to the radio silence on the blog...I'm not kidding when I say this past semester was the busiest I've ever been. 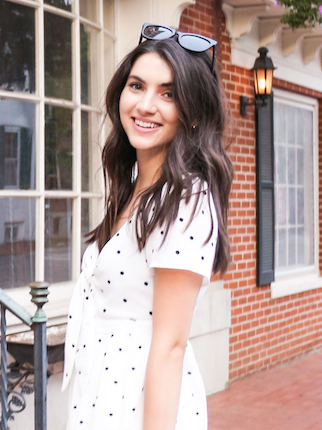 I'm planning on doing a little life update on my summer internship plans on the blog soon! I'm so excited to be back to blogging and sharing this fun post in collaboration with a local PA boutique called Gingy's and another one of my favorite brands, Madeline & Co! And guess what, we've teamed up to do a giveaway to get you ready for all your summer travel plans so check out the end of this post for more info on how to enter! 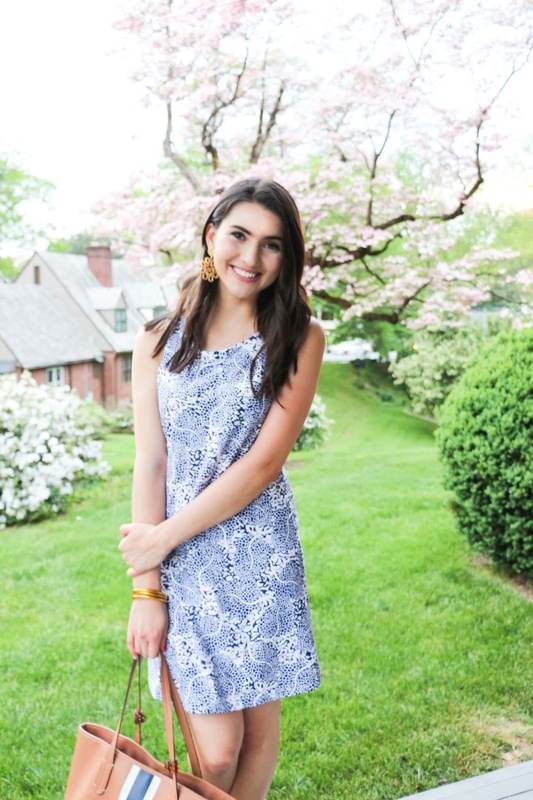 This dress from the Gingy's collection is seriously the most comfortable and such a fun addition to my summer wardrobe! It's a great lightweight material so it's perfect those hot summer days when you're on the go. 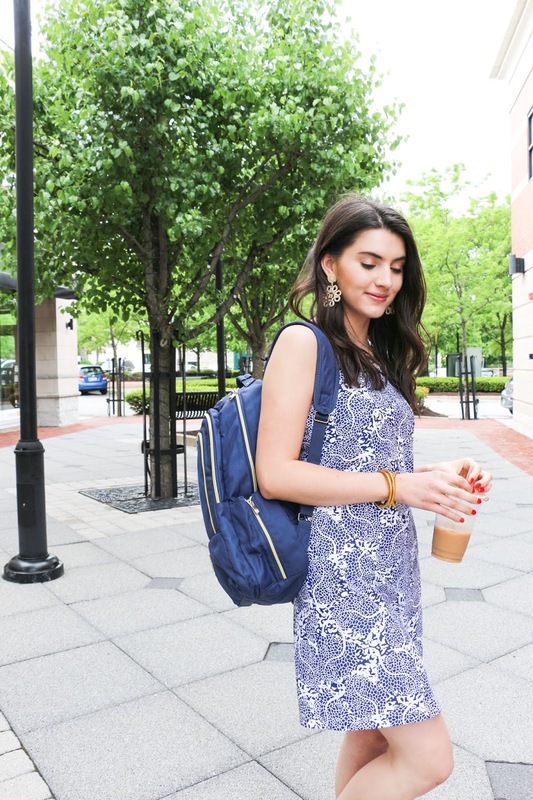 For me, I think it'll be great dress to transition from work days to weekend plans! You guys know how much I love my Madeline & Company backpack from the last time I posted about it! It's perfectly functional for school/work/travel...you name it! I got the cutest blue and white stripe this time around and it has already been the best for some of my recent trips! If you're in PA/NJ/RI, definitely check out Gingy's boutique in Malvern, Stone Harbor, or Newport or shop their store online! They carry so many cute brands (like Crosby and Draper James!!!) as well as their own collection that has been designed by the Gingy's team and a portion of the proceeds go to a local charity. I'm SO excited for this summer and I hope this is your best summer too! 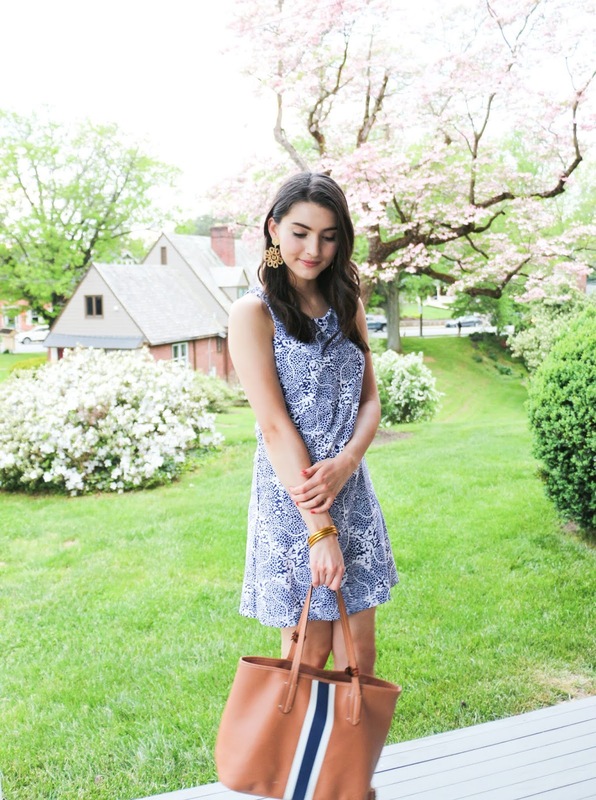 Here's how to enter our giveaway so you're ready for your most stylish summer yet! 2. Make sure you're following me (@belleadore), Gingy's (@gingys), and Madeline & Co (madelineandcompany) on Instagram! 4. *For extra entries, leave a comment on the post and tag a friend that you're excited to spend the summer with! Thanks Ashley! These bags are the best - for school and travel!